Budget brand SsangYong has invented a new niche by adding more room and more equipment to its popular Tivoli SUV, but is it any good? We test drive it in the UK to find out. Space is supposedly the ultimate luxury, and the Tivoli XLV certainly has plenty of that. It may not be the best looking or sharpest driving crossover, but it is one of the most practical and affordable. Buyers who need off-road ability and a high level of standard equipment without wanting to spend a small fortune to get either should definitely give this a look. 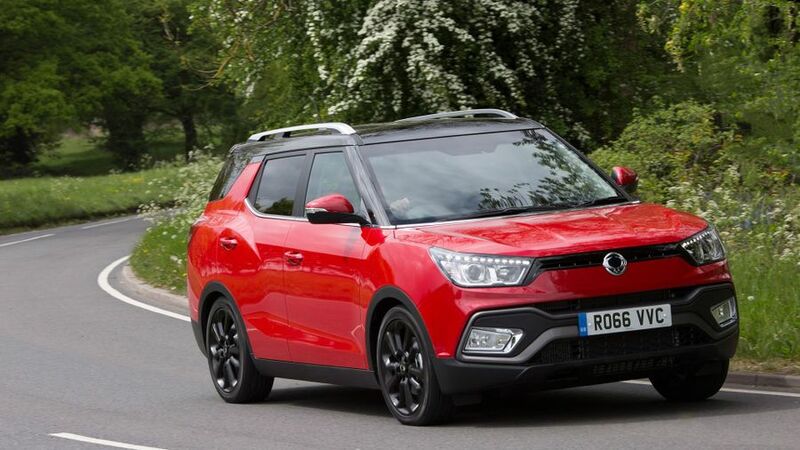 A plus size version of SsangYong’s best-selling model, the Tivoli. 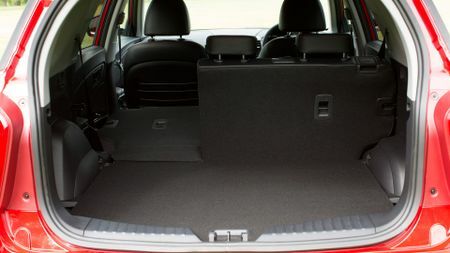 The ‘XLV’ could easily stand for ‘eXtra Large Vehicle’, as this car has been designed for buyers who need a bigger boot than most, whether that’s dog owners, young families, or keen golfers. Apart from the additional space, there are visual differences to the standard car, including a two-tone front bumper, roof rails, and a ‘floating’ roof that cribs the look of the Land Rover Discovery Sport. It costs £1,000 more than a top-spec Tivoli, but comes in just one trim, with an incredible list of standard equipment that puts most of its crossover rivals to shame. There’s one engine, a 1.6-litre diesel with 113bhp, but you can have your choice of two- or four-wheel drive, paired with either a six-speed manual or automatic gearbox. A surprisingly complete package, considering its attainable price tag. Most crossovers look practical, and turn out to be quite the opposite, but in the Tivoli XLV you’re getting a car that will happily carry five adults, and with a 720-litre boot, all their luggage as well. That impressive boot volume is measured to the roofline, rather than the (slightly flimsy) luggage cover, but with a false floor, lots of bag hooks, and an extra 12v socket, it’s seriously practical. However, this roominess doesn’t make the Tivoli XLV a no-frills box on wheels. 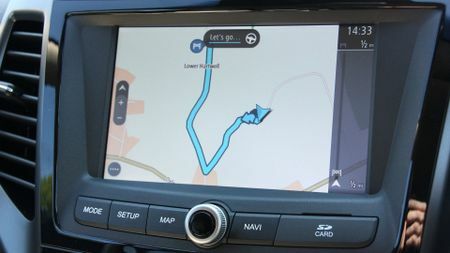 Sat-nav? Check. Leather seats? Check. Parking camera? Check. Auto everything? You betcha. It would be quicker to list the things it does without than reel off every bit of kit. 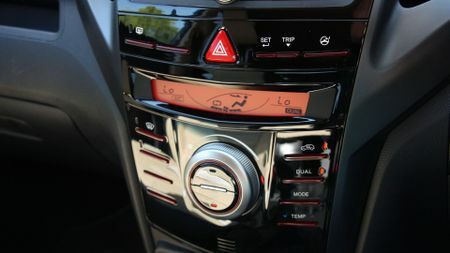 True, the centre console looks like the chest of a nineties cyborg, and the infotainment system and sat-nav menus are both rather confusing, but it does the everyday stuff right. 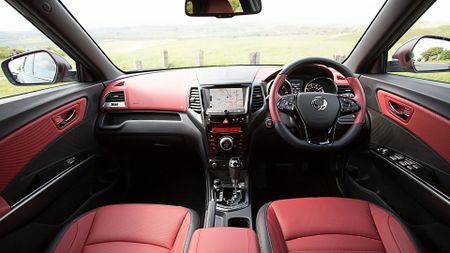 The driving position is great, the seats are really comfortable, and the interior fit and finish is excellent – up there with the likes of Toyota and Hyundai. The underpinnings are identical to those of Tivoli, so the drive is a little less competent than the latest mainstream machinery. This diesel engine is surprisingly brisk, with decent pulling power from low revs, but it gets very noisy and intrusive when worked hard. 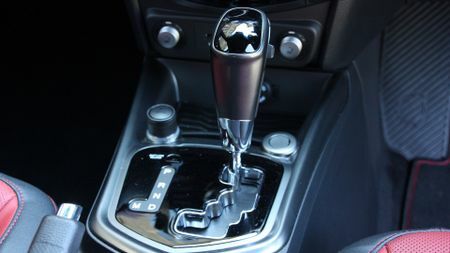 Patient drivers can let the lethargic automatic gearbox slur through the ratios, keeping the revs low and cabin noise down, and they’ll appreciate the spongy soft ride too. The XLV is pretty comfortable on motorway stretches, but can thud around a bit at lower speeds. Try to hustle the super-size Tivoli along too quickly, and the body rolls over into corners, and the vague, overly light steering makes it tricky to place it accurately on the road. There are three different settings for the steering, but they add additional weight to the rim, rather than anything close to resembling consistency of response. 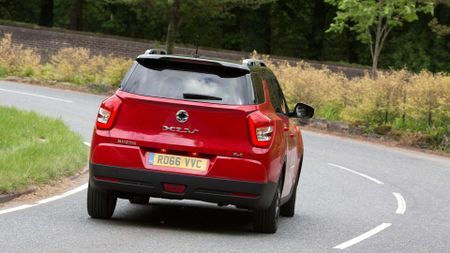 SsangYong reckon the bigger, plusher XLV will appeal to people wanting the added security of four-wheel drive, or those that need to tow a trailer or caravan, but unless that’s you, we’d stick with the two-wheel drive version, and save yourself the cash. As buying a car becomes increasingly complex, there’s something that appeals about the honesty of a vehicle that comes in one trim, with one engine, and does exactly the niche job it sets out to do. You could go into a dealership, pick a colour, sign the paperwork and be done in five minutes. This no-nonsense approach makes recommending one rather easy. The normal Tivoli is better value, but if you need a smidge more space and flexibility, the XLV has a lot going for it – just don’t expect it to drive like a class-leader. 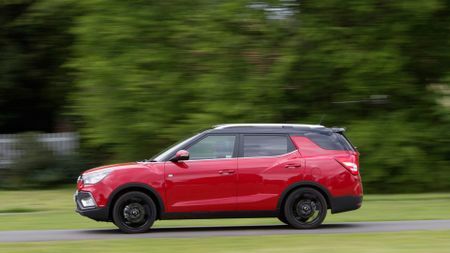 Interested in buying a SsangYong Tivoli XLV?